If you’re like millions of Americans, you put a lot of trust in simple padlocks to secure your valuables. Today we’re going to continue to break down the veil of security by showing you how easy it is to shim open a padlock with a coke can. 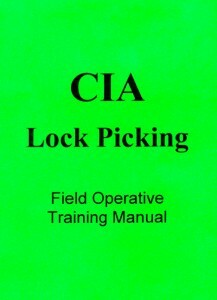 Again, as with all our lock picking and security articles, we’re not advocating anything illegal and this information is for educational purposes and Locksport only. 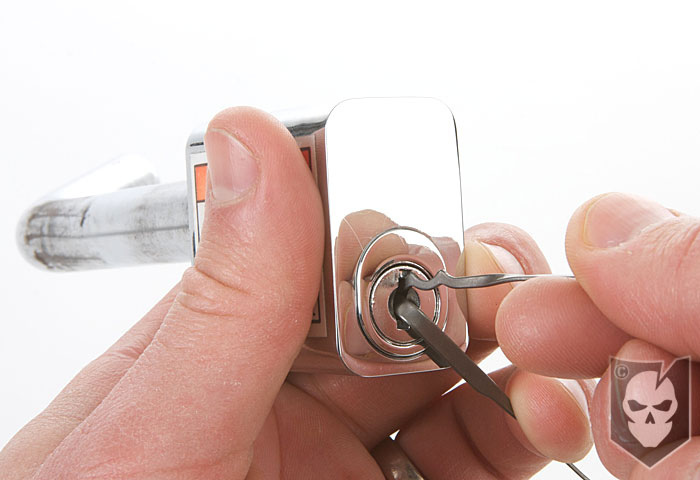 The first thing you’ll need to take note of when shimming a padlock is whether it’s a single or double-lock shackle. 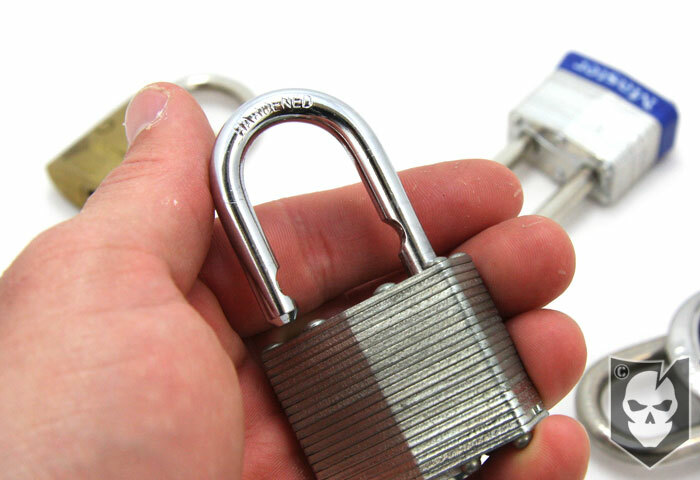 This can often be hard to determine just by looking a a padlock, but a general rule is that most numerical combination padlocks are just a single lock. What this means is that only one side of the padlock shackle engages with the internal locking mechanism within the padlock. See the photo to the right for an example. On a double-lock padlock, there are two locations on the shackle that engage with the internal locking mechanism. This is important, because this kind of padlock will require two shims to open. Each side of the shackle will need to be independently shimmed to allow the locking mechanism to release. 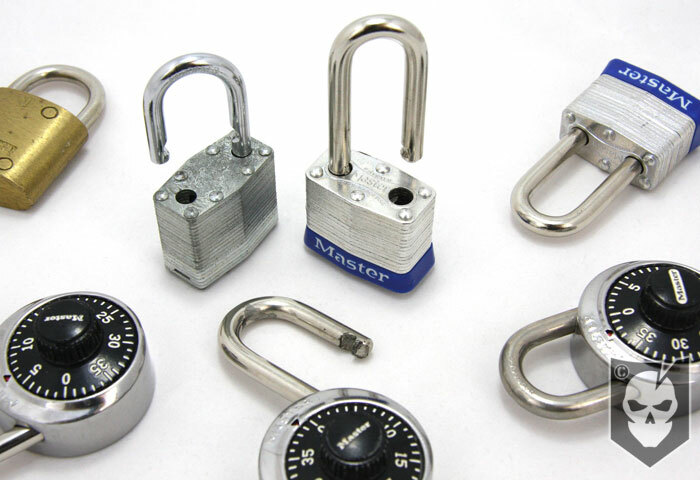 See the photo at the right for an example of the double-lock padlock. To create the shims needed to open padlocks, you’ll first need a coke can. Take the can and trim off the top and bottom, leaving the middle piece. 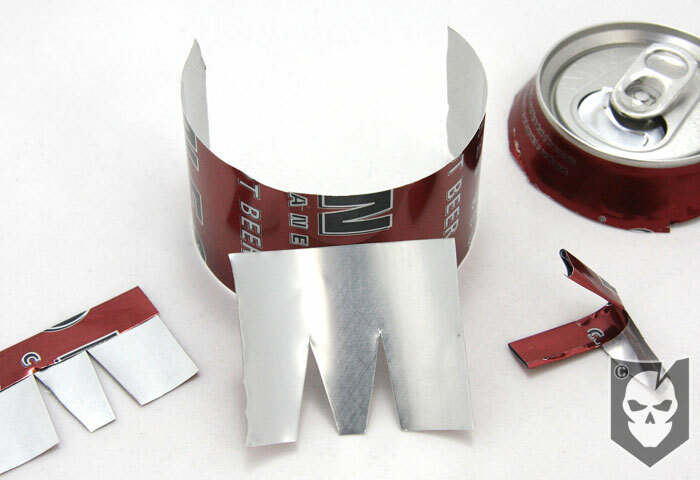 Make a single cut vertically in the can to create one long piece of aluminum (You may have done this already when trimming off the top and bottom). 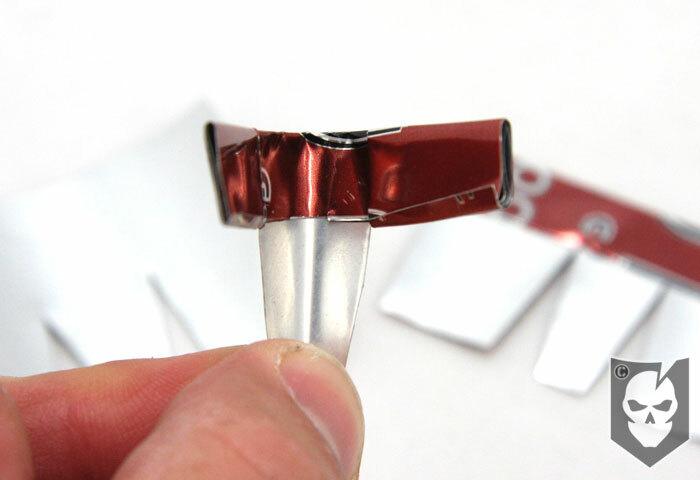 Cut the remaining strip of aluminum lengthwise creating two long strips. From here you’ll need to cut multiple pieces approx. 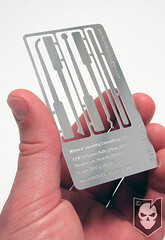 2.5″ in width and 1.5 to 1.75″ in height. You should end up with around six shims out of a single can. Once your blanks are cut, you’ll need to make cuts in each blank to create an “M” looking shape. The mid-point of your “M” can either be rounded as shown in the video below, or angular as shown in the photos. Either will work, but the rounded mid-point seems to wedge itself better into the locking mechanism. After the “M” shape is cut, simply fold the top quarter in half and fold the legs of the “M” up and around (see photos and video). You can also shape the completed shim around a pen to give it the necessary curvature it will need to slide into the shackle. 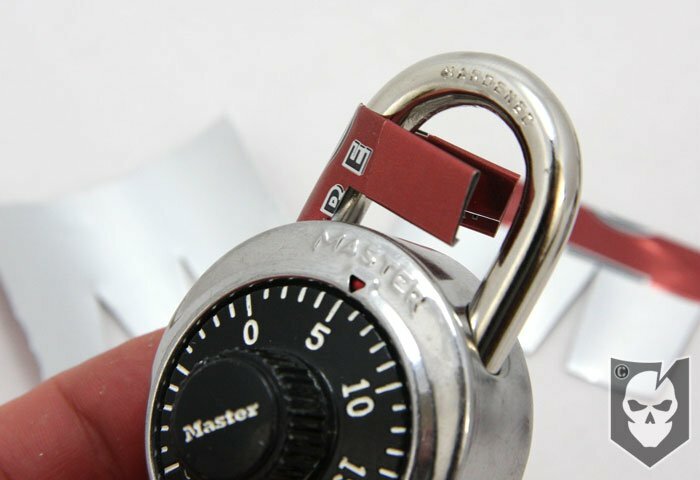 Shimming a single or a double-lock padlock is essentially the same, but with the double, you’ll be using two shims. Notice that the locking mechanism for the single-lock padlock is to the inside and on the left. What you’ll need to do is insert the shim into the space between the padlock body and the shackle, on the side opposite the shackle’s locking grove. Once this is inserted, simple turn the shim while working the shackle up and down. This will allow the shackle to almost pull the shim into the locking mechanism as you’re turning it. The shim acts as a bypass by moving the locking mechanism out of the way and opening the lock. For a better description of how to use the shim, take a look at the embedded video below. The double-lock padlock again is just the same, but you’ll be working with both sides of the shackle to disengage both locks. The video will really help you to understand how this works, as words are simply not enough to convey these techniques. It’s important to practice on junk locks that you don’t care about, because your shims WILL break off and fall into the lock or get stuck. This will require you to open the lock to get these pieces out, or the lock could be rendered useless. At least useless to practice with until you get that piece of shim back out. 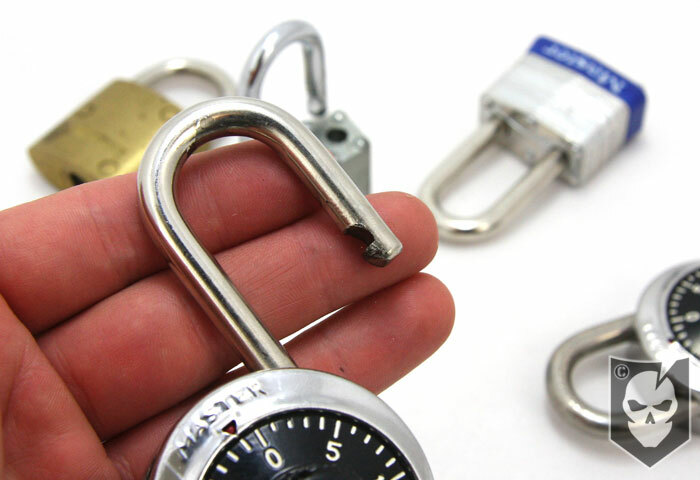 Remember to always get permission before opening any locks that don’t belong to you, and keep up your lock picking skill set! It’s depreciable! !